Mickey Mouse Toys Make a Great Gift for a Child in Search of a Role Model! 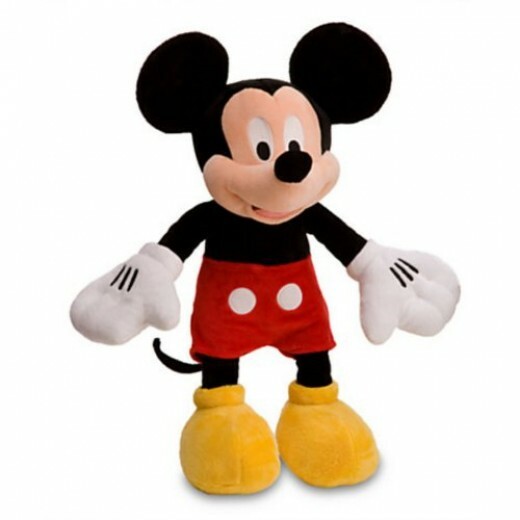 Home » All lifestyle » Mickey Mouse Toys Make a Great Gift for a Child in Search of a Role Model! My son was about three years old when he first watched Steamboat Willy and met Mickey Mouse for the very first time, and he laughed so much that we had to ration how many times he watched it from then on! He was looking at Mickey Mouse through the eyes of a very young child, and related to this cheeky little character completely. He understood him, and I would say that Mickey Mouse became his first real role model! And a very chirpy one at that! Here’s a funny story. One Saturday morning my husband was having a rare sleep in and my loving toddler was up and raring to get on with the day. So he decided to act out the scene in Steamboat Willy where the captain spits out his chewing tobacco and makes it ring on the boat’s bell. My son thought the tobacco was chocolate, so he went to the kitchen found and chewed up some chocolate and came to the bedroom and spat it out on his sleeping dad’s face saying, “ding! wake up daddy!” Now who can argue that TV doesn’t influence kid’s behavior! This is the original full length version. About 7 minutes long. Enjoy! In Steamboat Willy we see Mickey’s childlike attitude to life as he works on board the rickety steamboat. This skinny little mouse is portrayed as confident and full of smart ideas, he even has a sweetheart! Because of his over-sized bullying skipper, Mickey has no option but to cope with adversity. My son used to laugh so much at the way Mickey made fun of this big guy and his laugh was infectious! Steamboat Willy was made in 1928 in black and white and was one of the earliest films featuring Mickey and Minnie, his endearing little girlfriend. At the time of writing my son is 13 and today we sat and watched the cartoon again. This time I explained that it was the first cartoon to ever synchronize sound with movement. And therefore we laughed at the sound effects! They are very funny indeed and an integral part of the comedy. Everything has its own distinctive sound. The scene when the animals become Mickey and Minnie’s musical instruments is truly superb. We imagined how they had created the various sounds, and what fun they must have had! The hissing steam, the sounds of buckets crashing and bells ringing, ducks quacking, and Minnie’s shoes tapping on the ground as she runs along the riverbank desperately trying to catch the boat, are all there to show off this amazing new technique. Wilfred Jackson and Bert Lewis arranged the music, and they couldn’t have chosen a better tune when Minnie stretches the goat’s tail and starts turning it like musical instrument. The notes that fly out of the goat’s mouth is inspired! 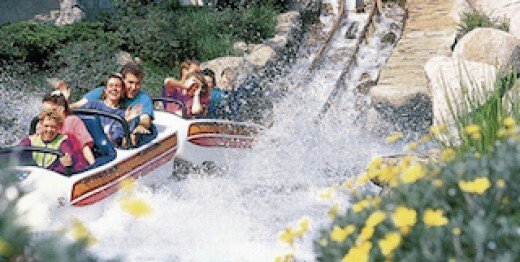 Disneyland California Hopper Ticket LA and other location in the USA and Europe. Click on the link.